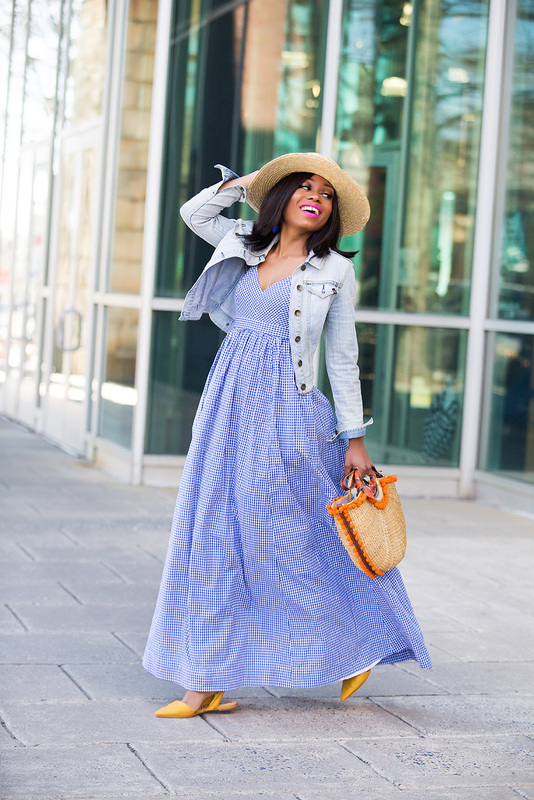 This week appears to be all about maxi dresses for me. 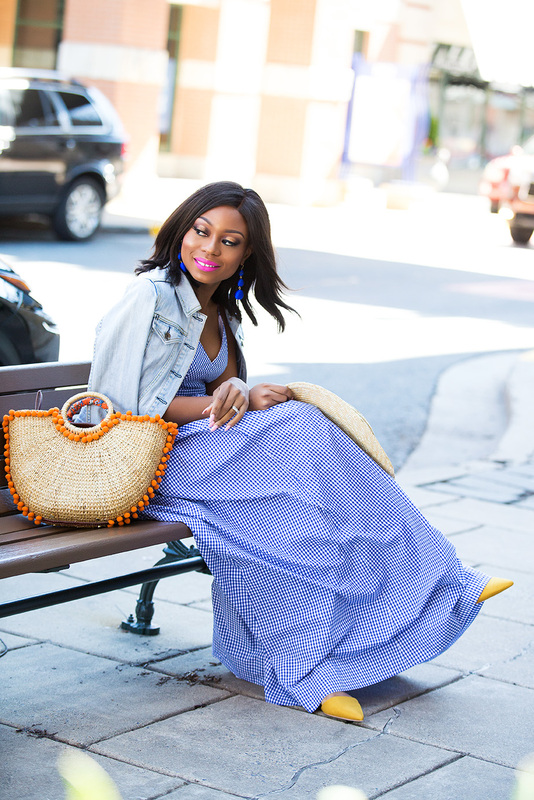 Yesterday’s post was about this pleated maxi dress (here) and today’s post is about a gingham print. 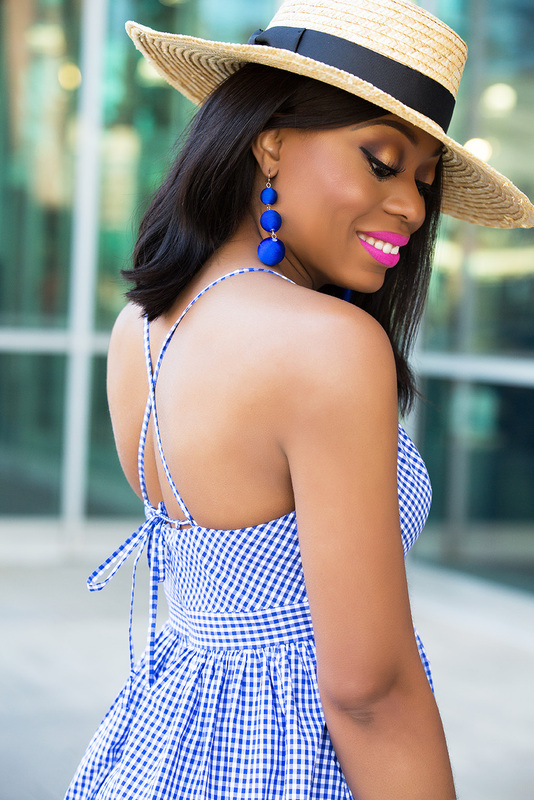 Gingham is a classic print making a renewed presence on 2017’s trendiest lists and I have always been a big fan of prints especially those with dark hues. 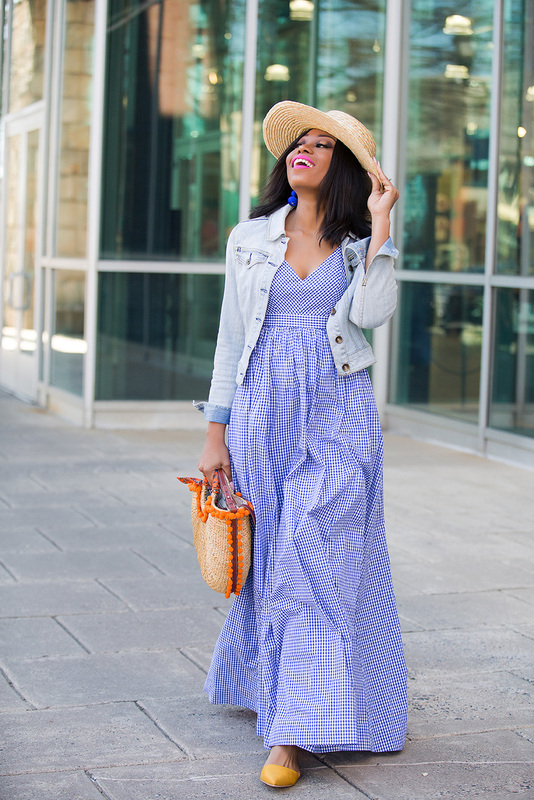 For today's post, I went with a maxi length style. 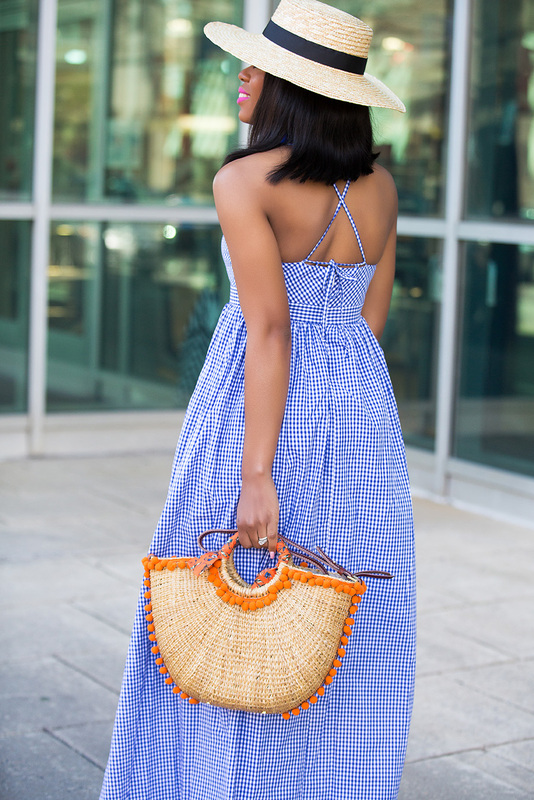 Besides the print, the fit and length of this gingham strap dress is amazing. 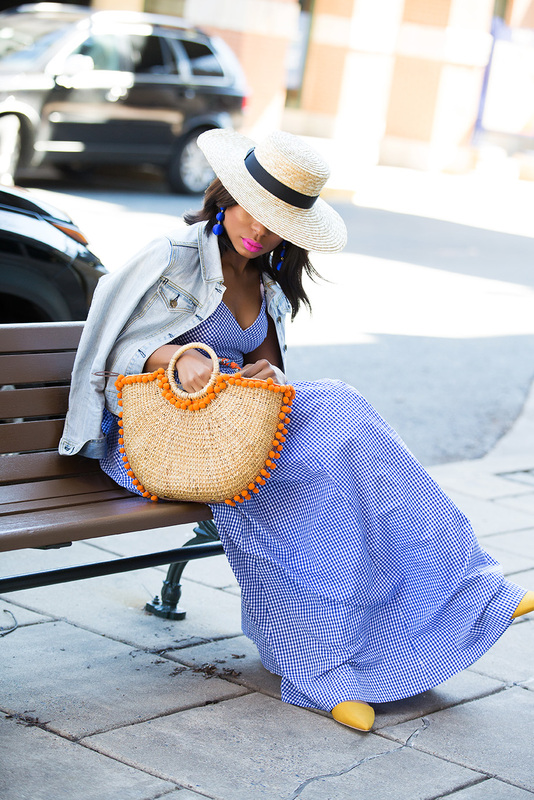 To avoid being plain, I accessorized with fun pieces and colors. The blue earrings complement the blue print and the lace-up flats add a pop of color to the outfit. So much gorgeousness in the photos. Pretty you! 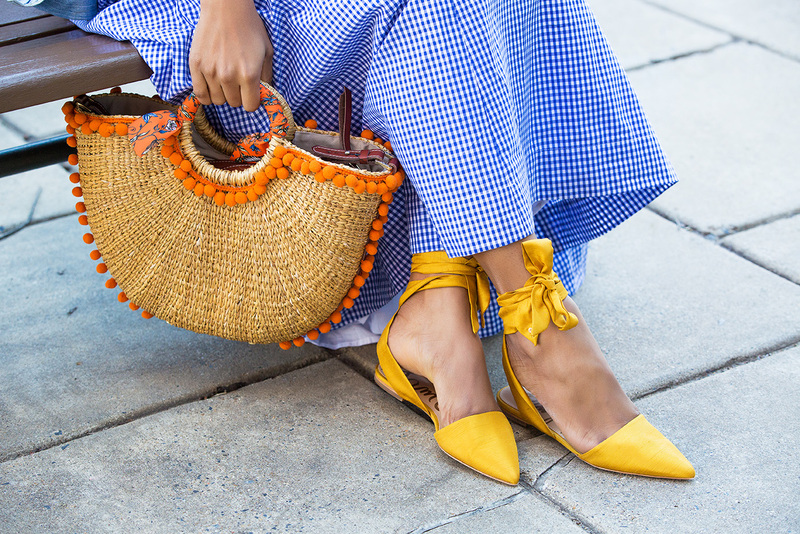 Your gingham dress is stunning and I love how your yellow shoes looks with it!